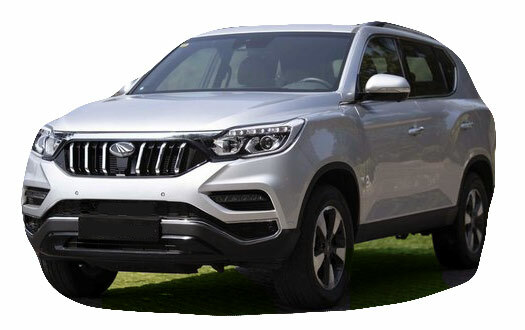 Buy your dream car using the carefully collated information here - Get complete information on Mahindra Alturas - prices, engine performance and other features in this exhaustive automobile and bike section. Madrasi.info is your Chennai city guide. From automobiles to education, from latest cars to travel destinations, you will find it all here. The new Mahindra Alturas is a rebadged version of SsangYong Rexton. This SUV is priced close to the popular Toyota Fortuner and Ford Endeavor. The new Avatar of Rexton - named as Mahindra Alturas has the looks and decent performance. Altura - a Spanish word which means 'Altitude' - probably signifying a high altitude attitude in features. The earlier Rexton didn't exactly set the stands on fire. The newer version looks butch, has an air of macho looks but it doesn't follow it up with enough power on the tap - at least from its engine. It has a 2.2 Liter - a little under powered compared with competition. But on the road, it is quicker than the higher displacement engines. Though the diesel mill has only 2.2 displacement, it is mated to a 7 Speed Torque converter sourced from Mercedes which uses the power prudently on the road. Mahindra Alturas is loaded with features : 360 degree parking camera for example. Most SUV owners sweat at the thought of reversing their mammoth vehicle in a tight space. This 360 degree super wide camera may reduce their anxiety. Mahindra Alturas Specifications: Mahindra Alturas has 2157 cc 4 cyl engine which delivers 178 BHP with a torque figure of 420 Nm. This model comes with Air conditioning as standard fitting. Alturas from Mahindra has Power steering and Power Windows. It is outfitted with central door locking in tune with its class. Mahindra Alturas - SUV Car segment is equipped with a 7 speed gearbox. Mahindra Alturas Price: Mahindra Alturas in India costs approximately about Rs. 27 lakhs (showroom price)for the base version in Chennai( Price may vary depending upon the local taxes and Octroi ) at the time of publishing this page. Please note that the car manufacturer - Mahindra may increase/decrease the list price at any time. Again you may note that the price mentioned here is for the Diesel variant. On the road price will depend on the GST, Road tax, Insurance and extended warranty fees if any. Alturas Fuel Economy: This car runs 8 km per liter of Diesel in city driving conditions while it runs 11 km per liter of Diesel in highway conditions. In other words, the fuel economy of Alturas is Rs. 8.88 per kilometer. If you drive about 1000 km in a month, you will be spending about Rs. 8880 on your fuel ( at the prevailing fuel price in Chennai). Your actual mileage may vary. The information presented in this page has been collected from the respective web site of the manufacturer amongst other reliable sources. We have summarized the various features of this Mahindra Alturas in a tabular format below.